We're glad to know you just landed on our platform :-) And on behalf of everyone on our team, we'd like to walk you through your first steps getting to know the tool and explain a bit of who we are and what we do. Here we go! Happyforce is a mobile app that allows you take the daily pulse of your organization thanks to the feedback shared by your employees. We want to change the way organization communicate with employees, in order to help them focus on the human side of work and improve their business results at the same time. What are the pillars of our product? Anonymity: any contribution done by an employee is completely anonymous. Transparency: all feedback from employees is public, transparent, and without filters. Honesty: anonymity and transparency create an honest communication, which means companies get an extraordinary value from a 100% sincere feedback. 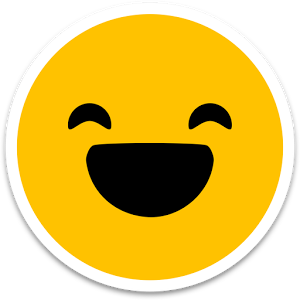 Happyforce is based on a mobile app in which people share their feedback in a simple, transparent way following the same dynamics they already use in other social networks. Thanks to this, most of the time we register a very high participation rate, with an average of 80% employees using the app every month and above 50% sharing their feedback on a daily basis. What are the benefits of using Happyforce?